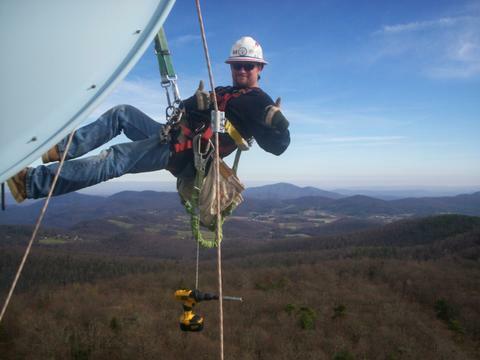 Antenna service includes routine antenna diagnostics and change outs. Parts are billed separately. We keep on hand a good assortment of connectors, jumpers, and adapters that are available for purchase at a reasonable markup. Customers can save by providing their own parts if they so desire. Most jobs: $1250.00 – $1750.00. We support most light controllers. 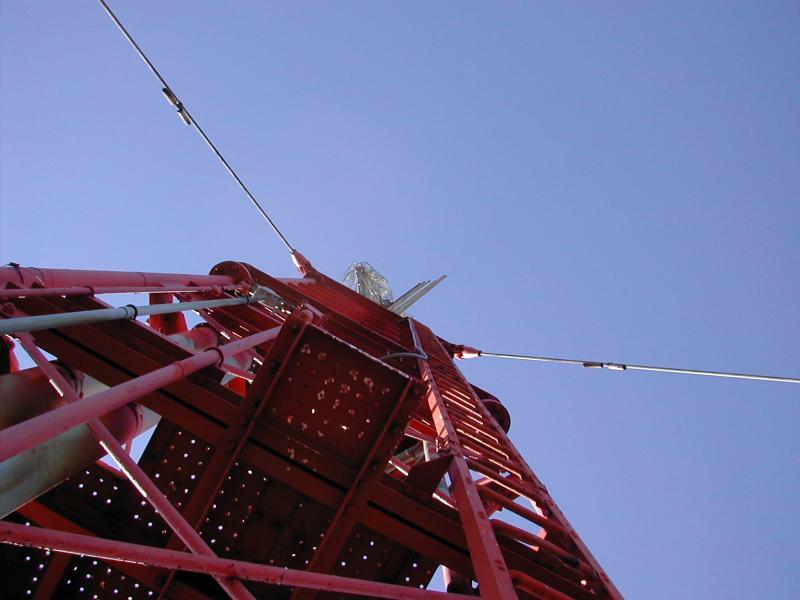 We do not provide service for high intensity systems (over 700 ft.). 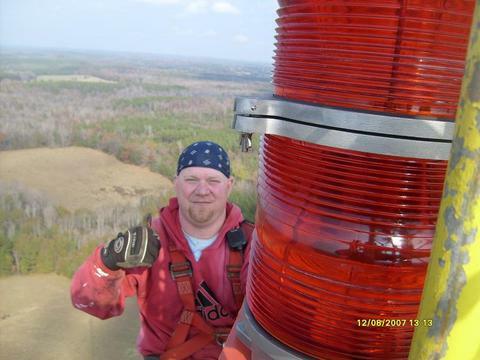 Incandescent and strobe lamp replacement from $1250.00 to $1500.00. If controller repair is warranted we can also provide it for an additional charge. We are equipped to service most all microwave shots. Alignment, radio repair, feedline work. Give us a call and we’ll give you a quote. $2500.00 minimum if we visit both ends of the shot. We service most any feedline dehydrator around, from the very old to the very latest technology. We try to keep a good stock of overhaul kits on hand in order to provide prompt service. Most conventional units are $950.00 flat rate plus shipping(MT300, MT50, etc.). Call for a quote on your particular unit. For quotes you can reach us at 501-681-5336. For service questions you can reach our specialist, Cliff, at 501-681-6046. 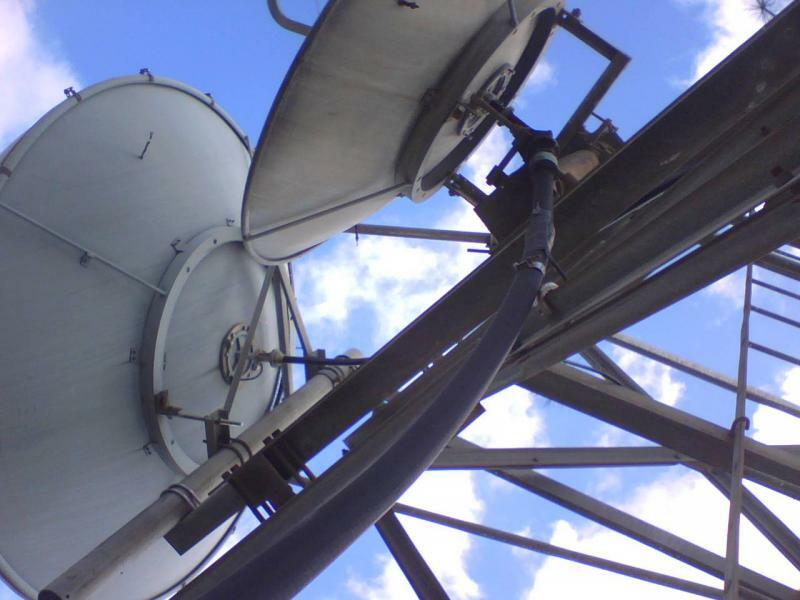 Leaks in your broadcast line? We can usually fix ‘em. We use ultra sonic leak detection, scent detection and plan ole’ soap and water sprays to locate leaks. Let me know your requirement and we will gladly provide references and a quote. We’ve been at this a long time without injury. Close calls are part of the territory, and we have had our share. This is a dangerous business, but we like to think we employ good safety practices. Everyone we put in the air has years of experience. What you see above may not represent safety to you, but in our world this man has taken all the necessary safety precautions. Notice the hard hat, the hand protection. and the life line which his Decel is attached to. We have tried since 1993 to provide prompt, efficient and courteous service. We are not all things to all tower owners, but that which we do, we try to do well. We don’t lie to our customers and we don’t claim to be able to do things at which we are not efficient.